I wonder if pseudo-historians are looking to demonize Hamilton, using him as justification for their profligate, ungodly policies. After all, if they can convince people that Hamilton promoted a Keynesian, debt-laden economy under the grips of international bankers, they can claim Hamilton as "proof" that "this founder believed such-and-such." It is to America's shame and guilt that the citizens are so ignorant of her history and of justice. A great shame. Hello Cato. Thanks for taking the time to read my long post and leave your comment. I think your wonderings are complete fact. If only DiLorenzo would catch on -- if you call the neocons liars (which they are) then why do you just take their word for it that Hamilton was "on their side"? Another problem with his theory. I don't think that this theory is any better than the myth of "Jefferson the guru of church/state separation." But the liberals promote it for the same reason that they twist Hamilton -- to justify their annihilation of what they worked so hard for. Our nation's ignorance is a shame. It's an even greater pity that so many people who are awake to the need to stand up for justice are buying into these lies. It's another reason to wonder if such a movement will really succeed in accomplishing its ends. You are contributing to my education, Herky. 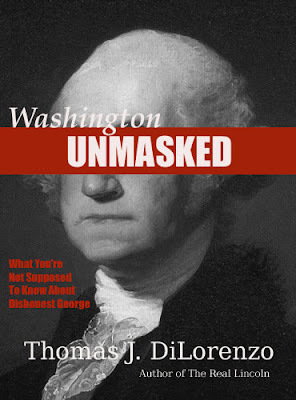 I haven't read DiLorenzo's book, and I'm sure I won't, but I have seen some of the comments about it. I think you're right in examining motivation, because actions always follow. Until the next installment, I'll stand on the motivation of Hamilton that I know that I know that I know: "Soul Ascending into Bliss." Hello Jean. Thanks for taking the time to read and to comment. I agree; his hymn is a great testimony to the bedrock of his character and beliefs. But not many people are aware of, or properly understand, Hamilton's faith; therefore, they misinterpret much of what he said and did. I was very glad to find this page and a response to DiLo's book. His conclusions aren't anything new. He's just parroting the same old Jeffersonian attack against Hamilton that started 230 years ago. What I don't understand is if Hamilton was the treacherous founder what does that make Jefferson? Jefferson spent his early career in the federal government undermining Washington and HIS policies in a most underhanded and disloyal fashion. Jefferson could never win an argument with Hamilton over policy so he used his surrogates in the press to smear him and Washington. Anyone who ignores the truth about Jefferson is not a historian of any sort, but a propogandist. Ron Paul supporters or Glenn Beck fans or Occupy Wallstreeters all take their turns attacking Hamilton and they get their info largely from revisionist histories written by Southern slave-holding contemporaries who opposed Hamilton because we wanted to free the slaves. Much of it is really just that simple. Read about the "TRUE" Jefferson. Visit www.restorehamilton.org. Great website here by the way. My compliments. Droll - Welcome to the Alexander Hamilton Patriot blog! I'm glad you enjoyed your visit. Thank you for your kind words, and to the link to your wonderful website! I am encouraged that more good and reliable information is being proliferated on the internet about this neglected Founding Father. I agree that what we are seeing today with Dilorenzo is just old propaganda. As for Ron Paul or Glenn Beck, I think that like many Americans they simply have never been given all the pieces of the puzzle, historically-speaking. But I don't think that criticism of corporation-run government is anti-Hamiltonian at all, since he was against even the semblance of corruption. Thank you again for the link to your resourceful website. I will be adding it to this site's blogroll. Mr. Scholet, welcome to the Alexander Hamilton Patriot blog! Thank you very much for your kind words; they are much appreciated. I am delighted to hear of the AHA Society. Congratulations on your recognition! Thank you for the links to your websites! I will be adding them and to the blogroll on this site. I have been waiting for such a society as the one you have begun. My warmest wishes for your success. May your society achieve its goal in fulfilling the dream of Hamilton's widow: that justice would be done to the memory of Hamilton -- who has too long remained a footnote in the history books.